This new book (Knack Treehouses ) is a handy reference of ideas, tools and examples of 200+ awesome treehouses. 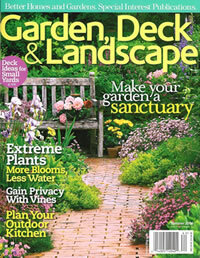 You will see my work featured on page 26 ... with my Malibu treehouse. For more information about the kinds of treehouses and play forts I can build for you, visit my treehouses page. 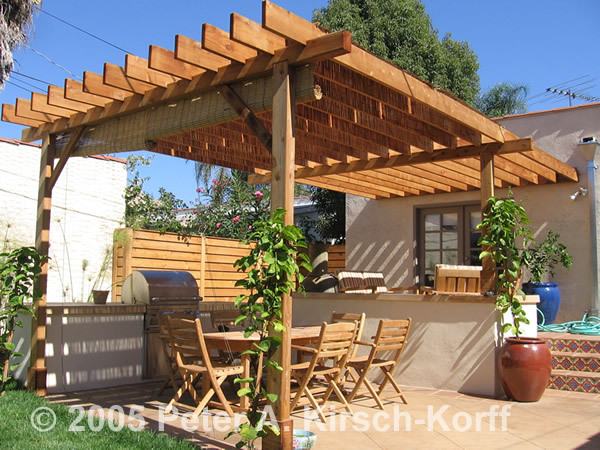 This two page article features a photo of my mission style wood fence. It starts on page 84 of the Spring 2008 issue. 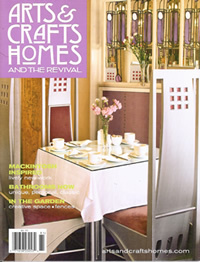 For more information about the Arts & Crafts inspired projects I have built, visit my Arts & Crafts styles page. I was fortunate to work with Nick Tan of Urban Organics and have my work highlighted on HGTV's Landscapers' Challenge. The show (which aired August 26, 2007) shows the work I did for Ted and Tami Ries. This 10 page article features some of the work I have done in Pasadena for Rod Beattie. It starts on page 94 of the Summer 2006 issue.